Mourne Mountains - track to Slieve Donard. 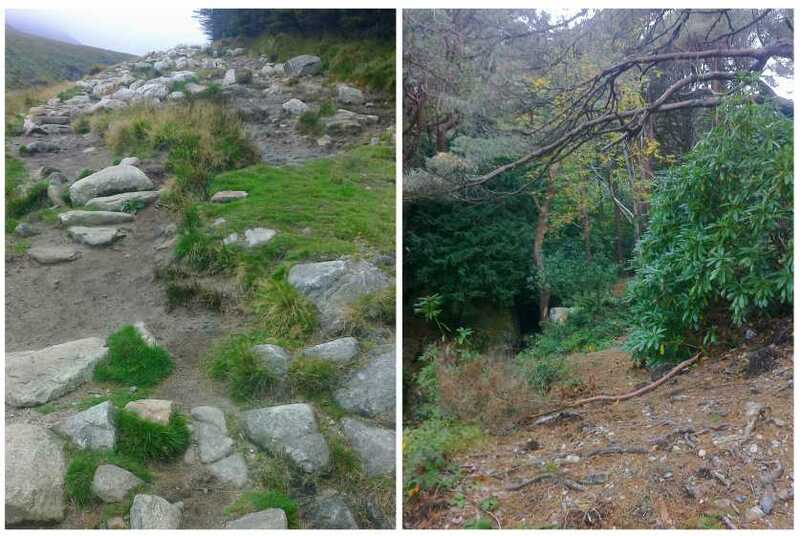 On your left, reinstatement of Glen River Track works by the Mourne Heritage people. On your right, reinstatement of the Middle Bridge works by the Hydro people. I know who I wouldn't have do my garden - or in fact, anything.